Soup season is in full swing so come get inspired with great recipes. You will want to try pot after pot of delicious soup! The cold weather makes us want to sit down to a hot bowl of soup. Something to warm us up from the inside. 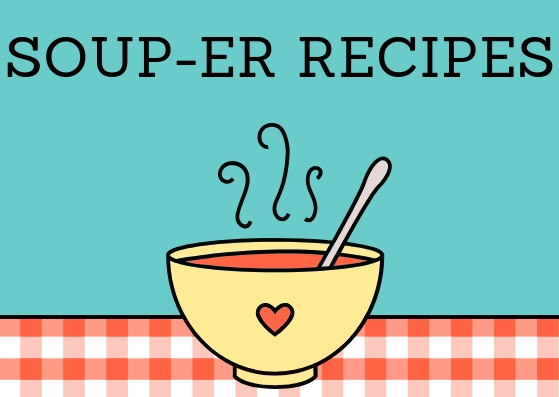 So get your soup pots ready, it is time to check out tons of great recipes for super soup recipes! 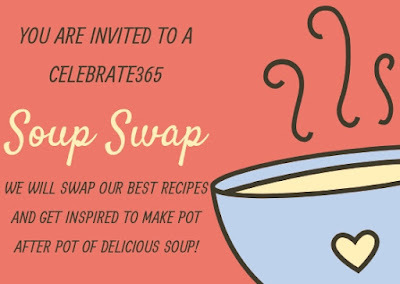 Are you ready for a virtual soup swap? I know I am! I love sitting down to a steaming hot bowl of soup when it's been a bone chilling day. My husband however, doesn't feel the same. He doesn't think soup counts as dinner, so I have to be careful to make sure it is fantastic soup in order to stave off the grumbles. Luckily I have found a few recipes that are so good he forgets he is against soup on principal. There are even a few that he was very complimentary of as he ate them. So now I am on the hunt for more soups he likes. Maybe if I find enough, he will forget that he "doesn't like soup for dinner!" If you are a blogger, drop your best soup recipes below. We'll share some on social media and round up our favorites to share later. So please know that dropping one gives us permission to use a picture and link. 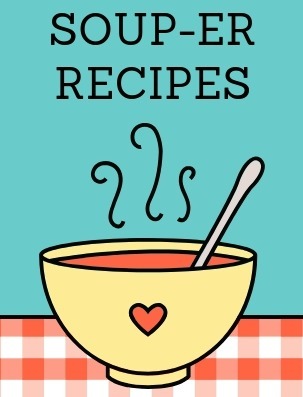 If you aren't a blogger and have a favorite soup recipe, please let me know about it in the comments or on social media. I love to hear from you and can use all the inspiration I can get! Hi Carlee, oh my! This is my idea of recipe heaven. If I had my way I'd eat soup everyday. I do have a soup recipe or two I would like to add later and look forward to finding new recipes to try. I could eat soup most days too, especially during the winter. My husband isn't a huge fan though, so I have to space it out! You are right - we have definitely entered soup season!!! I made a big pot of potato soup yesterday. I love that it lasts for several meals!